EcoAquariums collector Steven Paul, the man who netted the Lightning Maroon Clownfish in Papua New Guinea. Steven was born on Fisherman’s Island in 1984. He married Huga Paul in 1998 and they have had 3 children together, so far…. 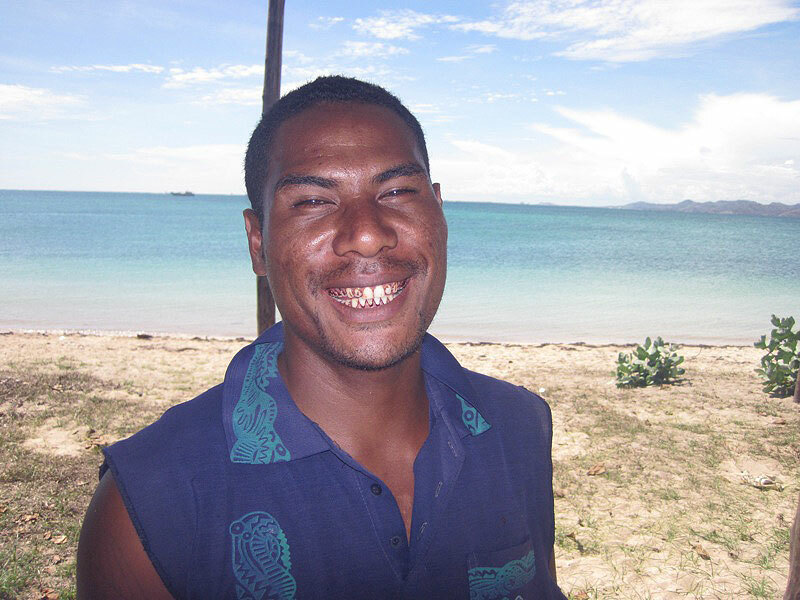 He was as a spear fisherman for years until he had the opportunity to catch aquarium fish. 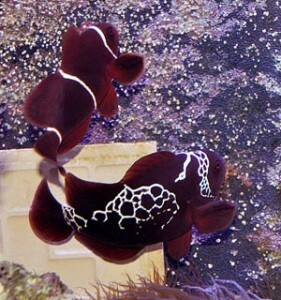 Steven caught the famous Lightning Maroon Clownfish in 2010, which is now in the care of Matt Pedersen in the USA. He plays competitively for the cricket team “Flounder Fish” and says, “I just like to hit the ball.”. He loves Jackie Chan films and would someday like to see America. 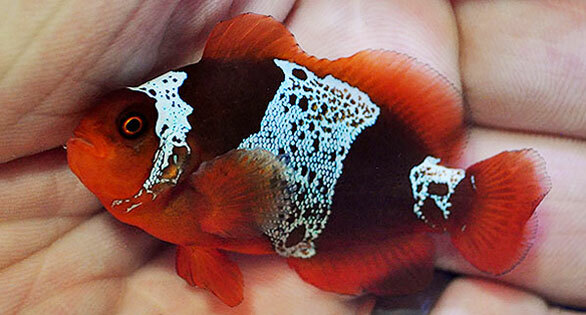 EcoAquariums is introducing a new labeling program which will allow aquarists who purchase their marine animals to be able to look the details of their collection and the person who did the collecting. Image right by Matt Pedersen.